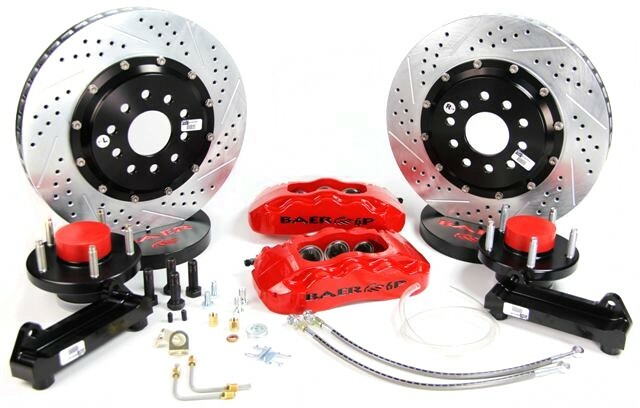 This system features the 6-piston, 6P caliper mounted to a 14", 2 piece slot, drill, zinc plated rotor. 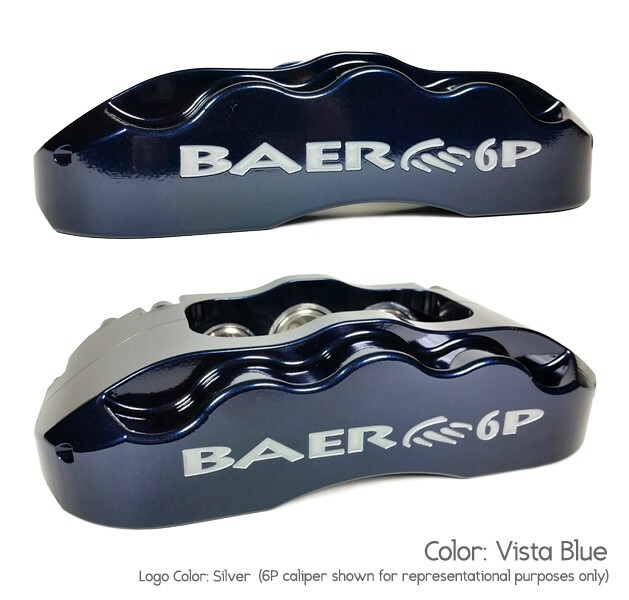 The 6P caliper has D.O.T compliant dust and weather seals and uses the popular D0731 pad type. Billet aluminum hubs come assembled with premium bearings packed with Redline synthetic grease and billet dust caps. 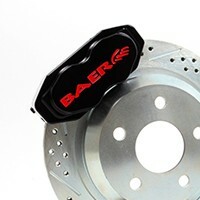 Rotors are pre-assembled with NAS high grade stainless hardware. 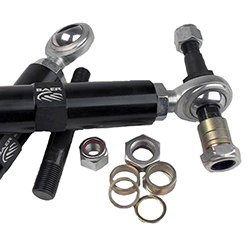 All mounting brackets, stainless braided hoses and hardware are also included. 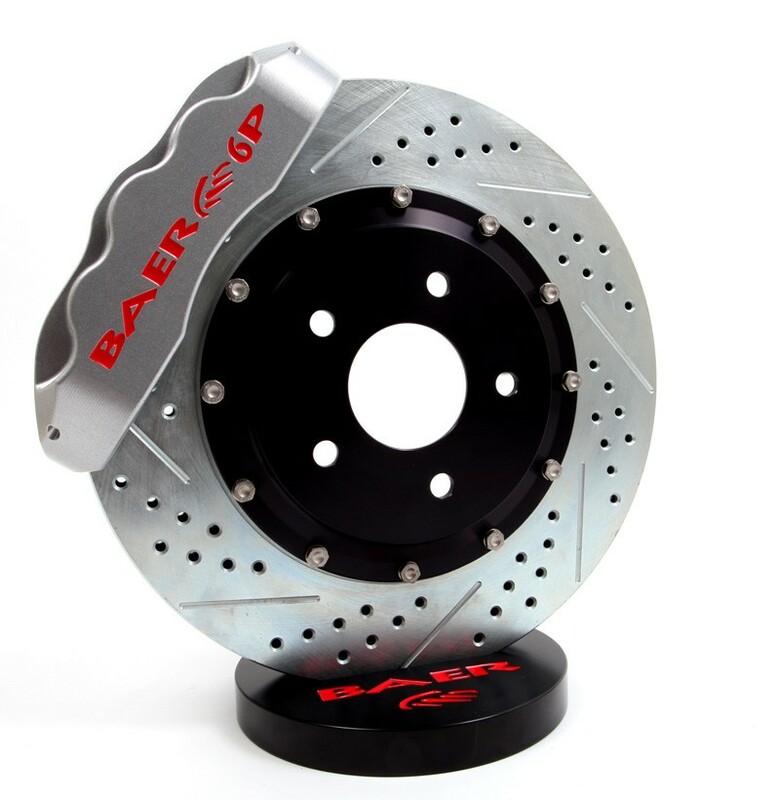 The 14" Pro+ is designed to fit most 18” or larger wheels. 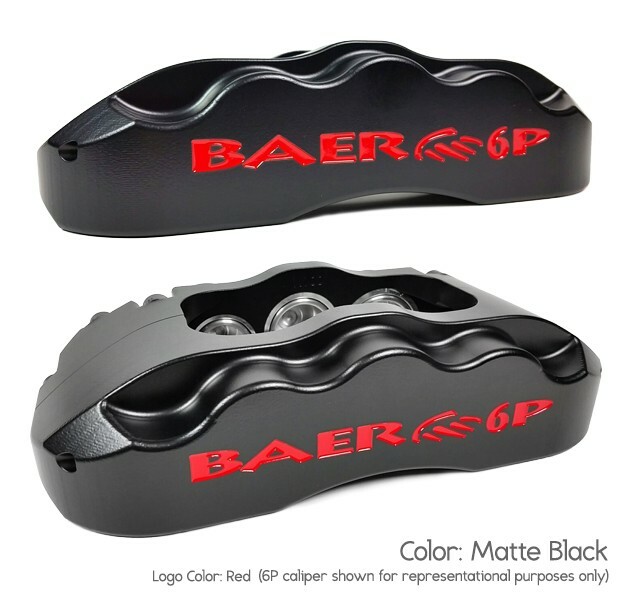 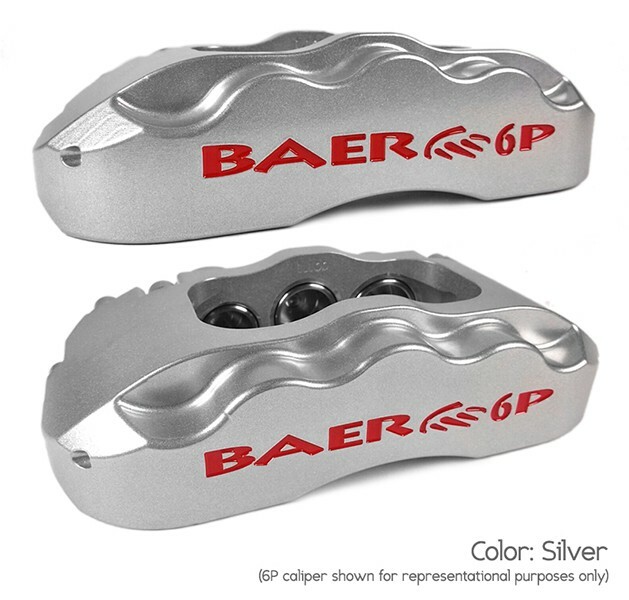 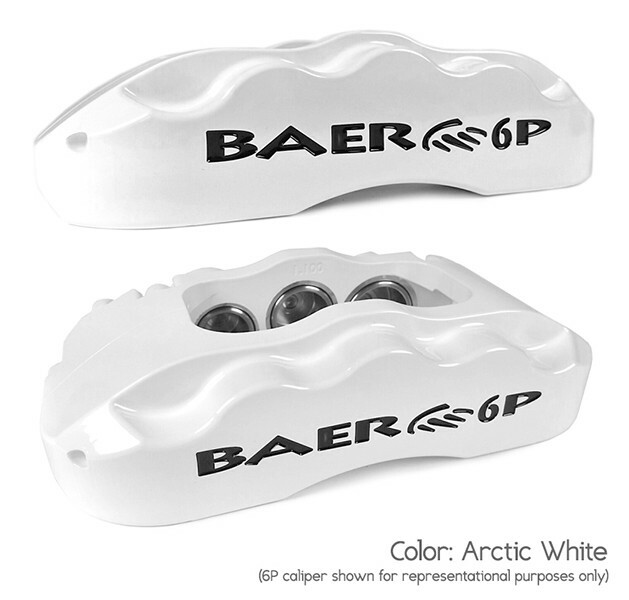 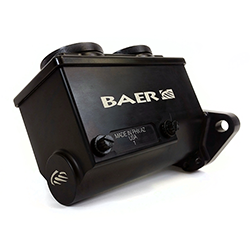 The Baer Remaster master cylinder is offered in three sizes to fit most applications. Use chart below as a guideline to help you determine the proper size for you. 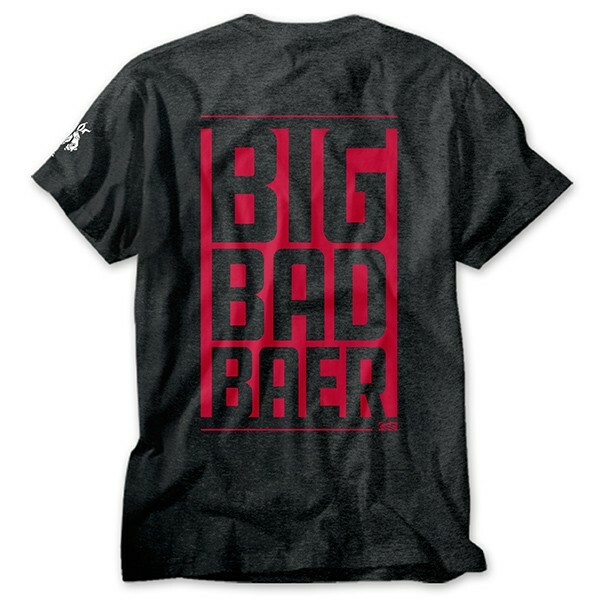 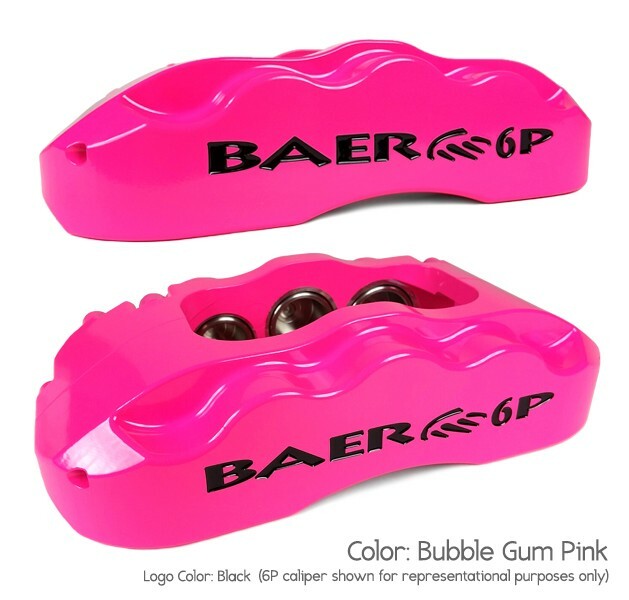 Please contact us with any questions regarding the best size for you. 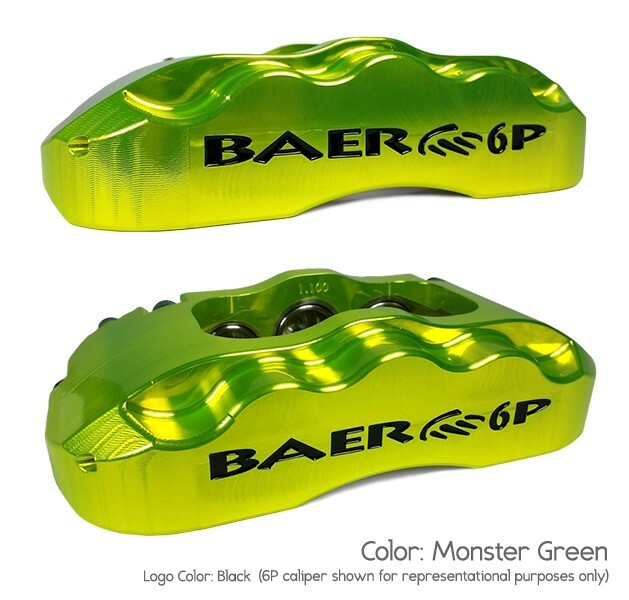 Many more custom colors available. 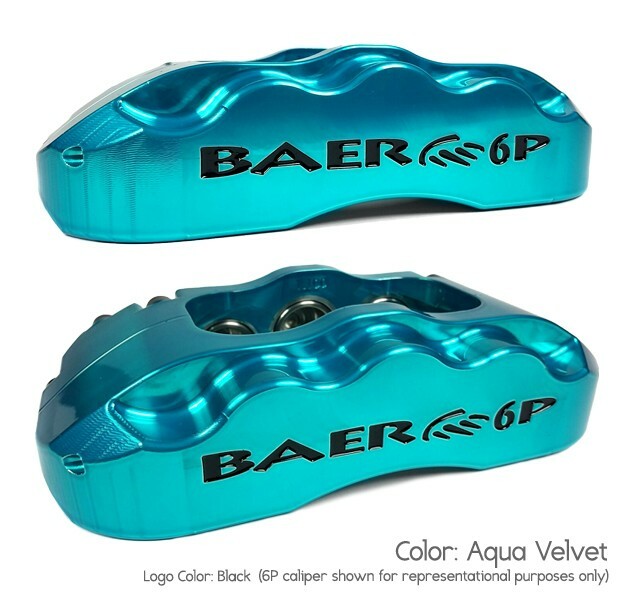 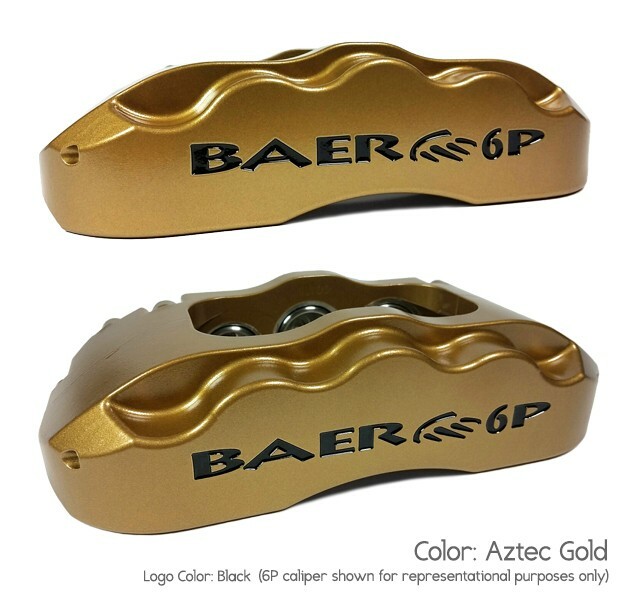 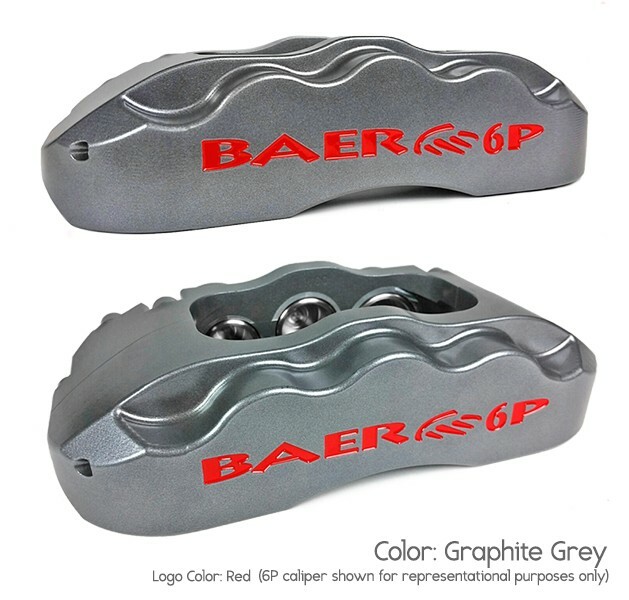 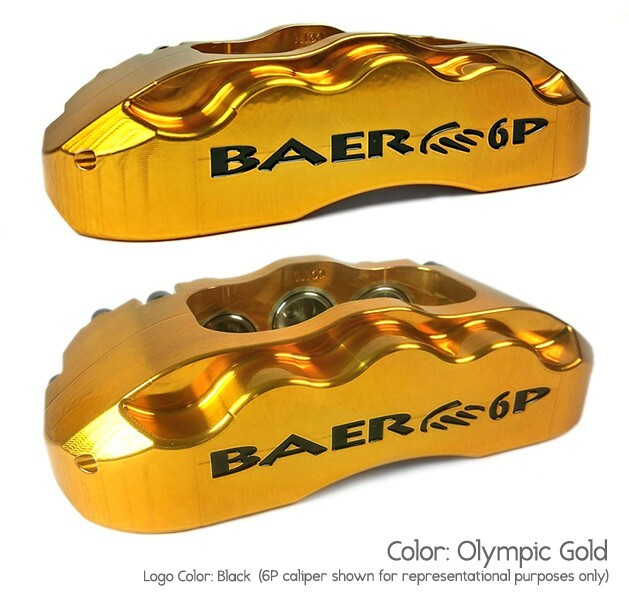 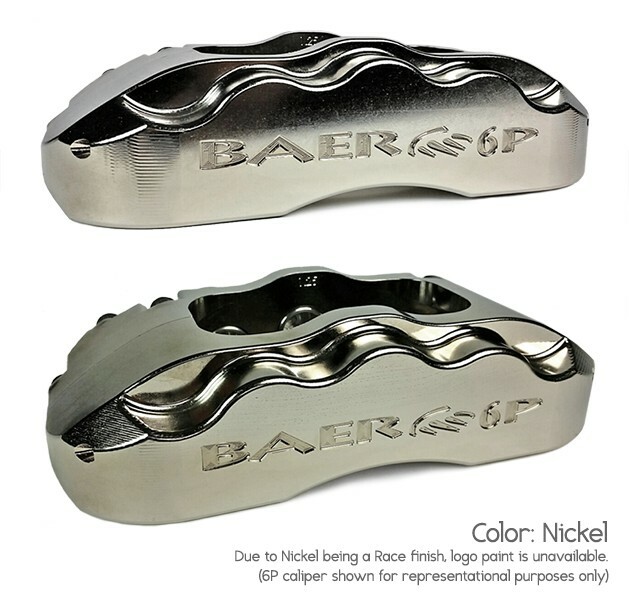 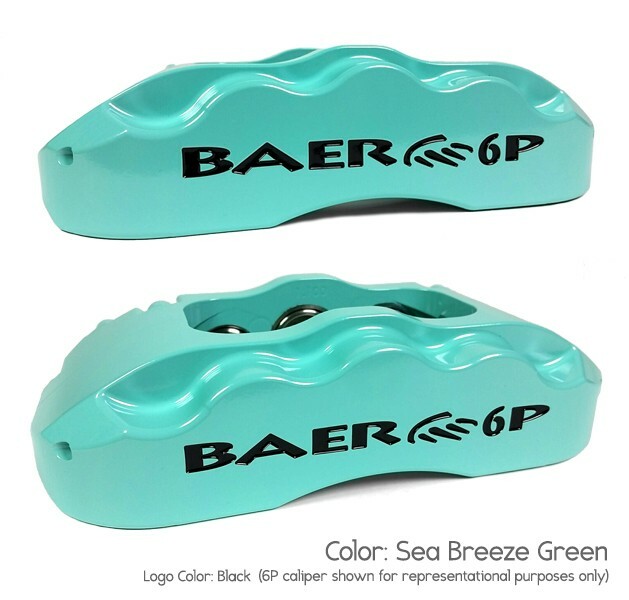 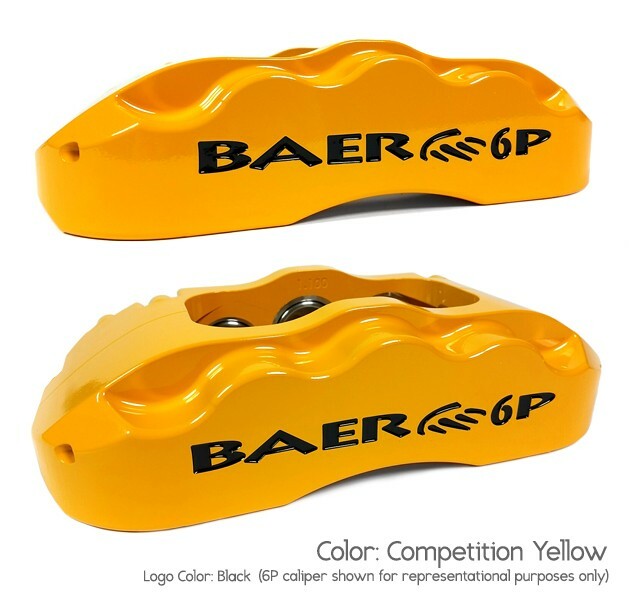 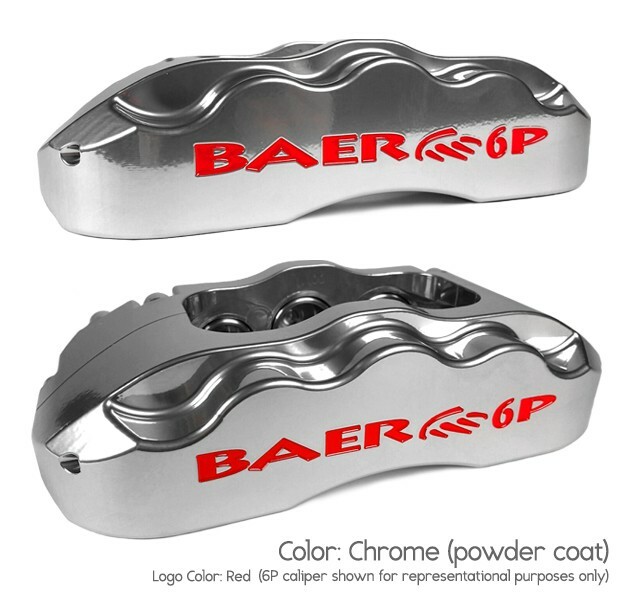 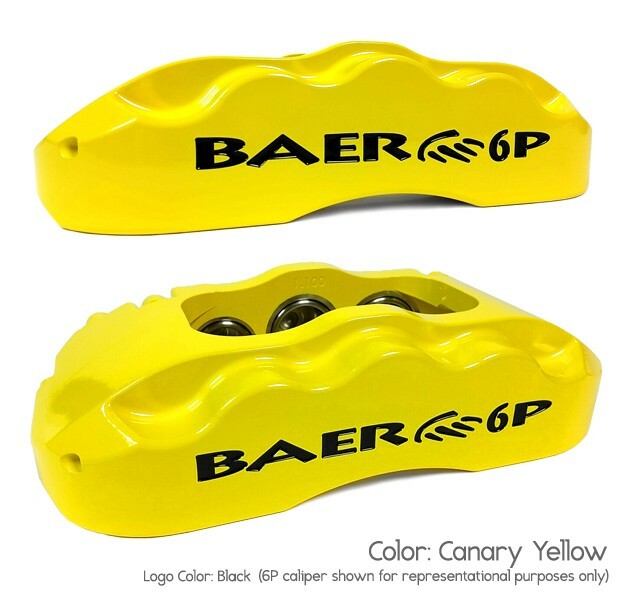 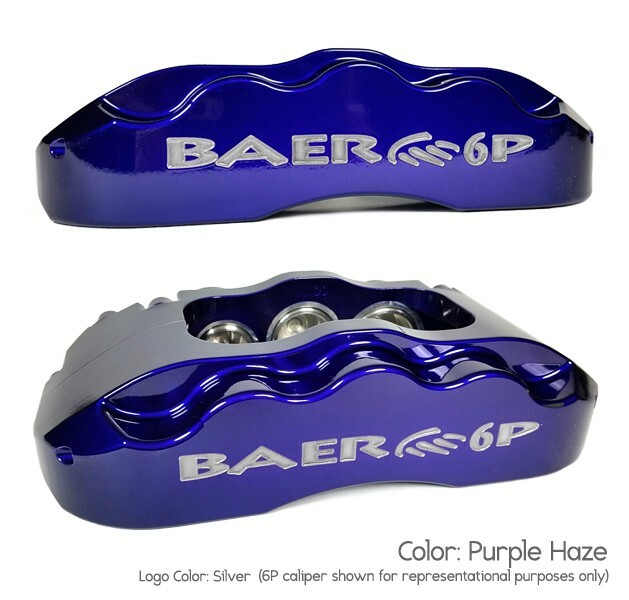 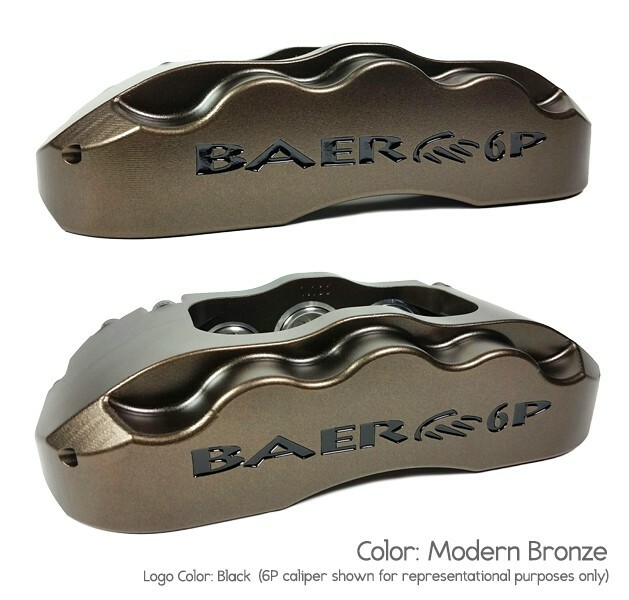 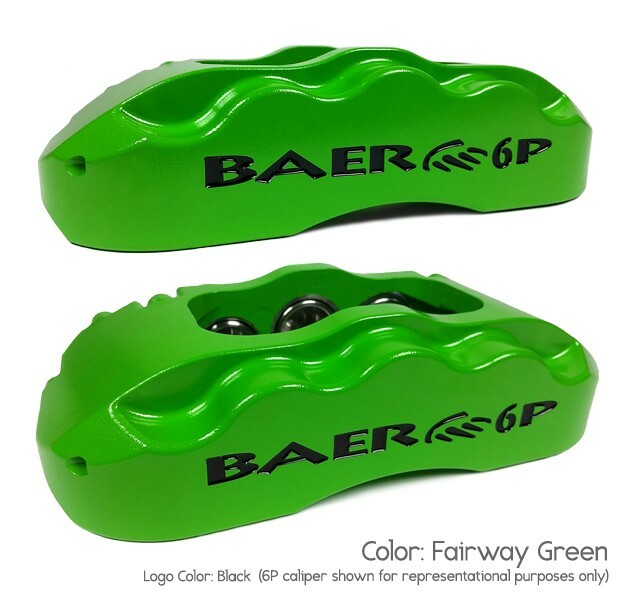 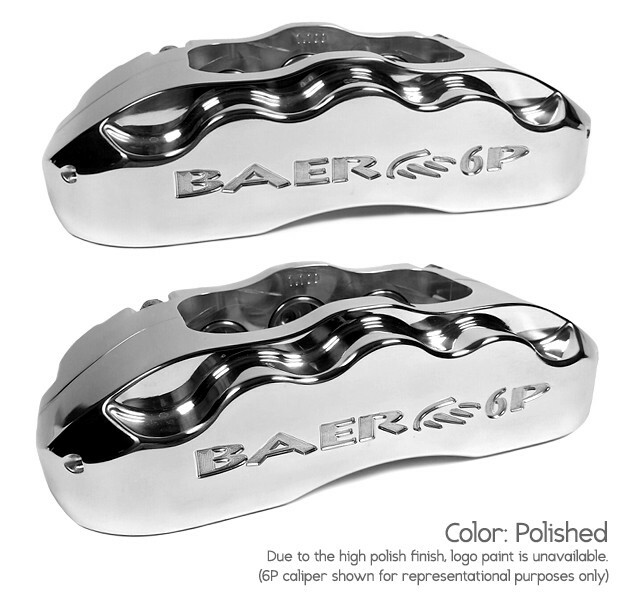 Check out our custom caliper color page click here. 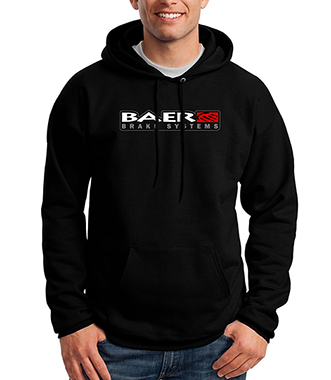 Please contact us direct for additional information. 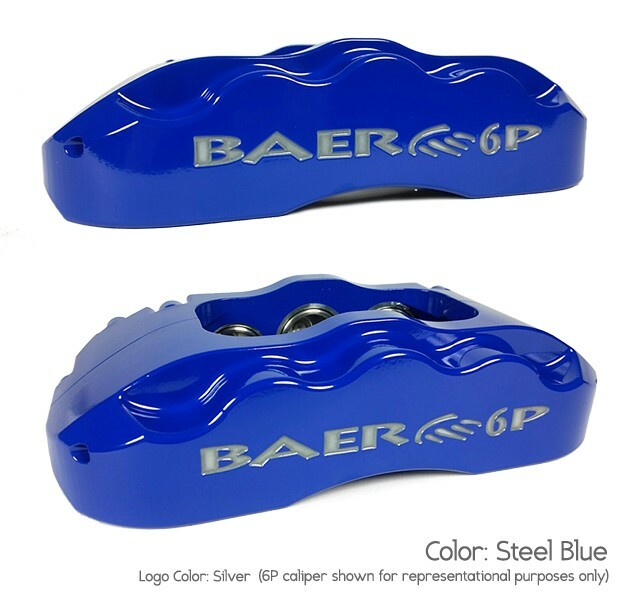 Unsure of what body code your vehicle is? Click link below to verify body code using your make / model. 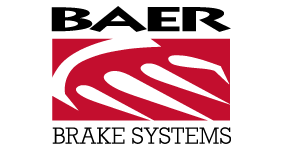 | Why Purchase the Pro+?